We are certified by the Green Clean Institute and only use products and practices that are in compliance with their standards. Our team is made up of professional and reliable staff who you can rely on to do a great job, every time! We are experienced professionals, serving both residential and commercial cleaning clients. Fill out our Cleaning Appointment form and tell us what you need, or call us today for a quote over the phone. We have the best pricing for the high level of service we provide. Bay Area Pro Cleaning, Inc. is a locally owned full service commercial and residential cleaning company. We offer commercial and residential cleaning services throughout the San Francisco Bay Area. We pride ourselves on being the best! Our work is backed up with our “Satisfaction Guarantee” and if you are not satisfied with our work for any reason, we will return and do whatever it takes to exceed your expectations. Our Team works around the clock to clean office spaces, condominium common areas and storefronts. We have staff available 24/7 to get your workspace clean on a daily/nightly/as needed basis. Terrific job. The cleaners did a top-to-bottom deep cleaning of my little house. I was amazed by all the stuff they cleaned–walls, baseboards, blinds–in addition to the expected stuff. Fast and thorough. Highly recommended. They showed up as scheduled and finished when they said they would. Did I mention the oven? Spotless. I have been using Pro Cleaning since 2012 and have always been pleased with their service. We have had the same team cleaning our home for the past 2 years and those girls are fantastic! 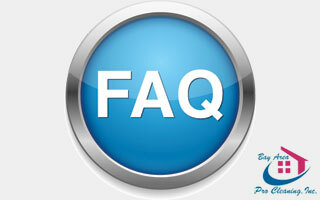 The support team is very helpful and they communicate very well and provide alternates when needed. Highly recommended. Give the gift of a clean house to to someone you love! 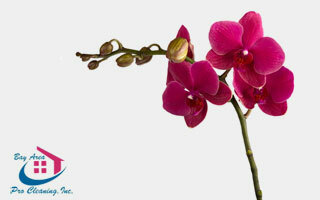 Purchase a Gift Certificate with Pro Cleaning, Inc. for your friends or family. A clean and healthy house is the perfect gift. Unprofessional window cleaning companies put you at unnecessary risk. We are fully insured with full workman’s comp and commercial liability insurance. Do I need to have cleaning supplies? Do I need to be home when you come? What if something is damaged during cleaning? 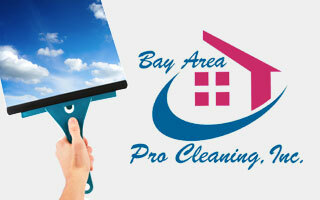 Bay Area Pro Cleaning, Inc. Please contact our office for an easy quote or to schedule your cleaning right away. Our office is open Monday thru Friday, 8:00 am to 5:00pm.